Tronchetto di Natale (the translation is "Christmas little trunk"), dessert recipe for Christmas has a particular trunk shape, where it takes its name from. It is a very widespread recipe with very many variants. We propose one of the most classic, with chestnuts stuffing and cocoa flavoured pan di spagna. 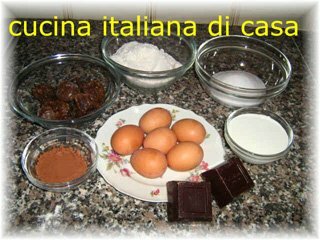 Notes to the recipe: tronchetto di natale, due the work required and the ingredients cost, is a difficult recipe. 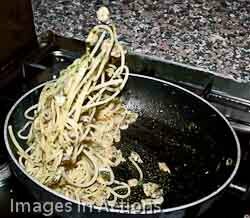 After all it is a haute cuisine recipe, widespread for its very good taste and not for its preparation facility. As you can see the doses are very big, but for a good result it needs a minimum quantity of ingredients. The ingredients are easy to find. What means tronchetto di natale? The shape of tronchetto di natale must be like a little trunk, for this reason it is called tronchetto=little trunk and di Natale=of Christmas.